The Burners were up north of Gerlach with 60,000 plus dry camping for a week. The SNU was in Fallon at the Cantaloupe Festival and Junior Rodeo with grass and electricity and shade and water, even. The Churchill County Fairgrounds are just south of town on US 95. There is a nice RV park and a dump station. lifehacker notes a video about making watermelon smoothies with just a drill, a coat hanger, and, of course, the watermelon. I wonder if it works and tastes as good as it sounds easy to do. ESRI, a company that develops geographic information systems (GIS) has a public information map that shows the database of wildland fires, winds, and air quality alerts. Click on a marker and you get a popup with additional information. The wind map is a personal art project. It shows wind data from the National Digital Forecast Database for the continental U.S. The winds are flowing lines whose intensity indicates the winds speed. If you are looking for a synoptic overview of what the winds on the continent are doing, this work of art can be fascinating. For a more traditional view of weather along a planned route, don’t forget the wunderground road trip planner. If you’ve got your route set up in Google Maps, GmapToGPX might help you transfer the route to your GPS. Another option is a flagpole mount. The Camco 51611 Hitch Mount Flagpole Holder is about a tenth the cost of the hammock but you’d need to add your own flag pole and flag. The problem with leaving the hitch ball mount assembly or a hammock or a flag pole attached to your tow vehicle is that the vehicle tends to become a part of the camp rather than an errands running or touring accessory. The Burners have a rather severe problem when it comes to waste disposal. RV’s are very popular out on the playa but most don’t have waste tanks that will handle a full week’s worth of washing. Evaporative ponds for waste wash water have been superceded and newer technologies developed. The Gray-B-Gon is a wind powered device that fits in well with the Burning Man ethos. Flying Saucer evaporation also works well but uses a pump. The term ‘evapotron’ has been appropriated to name these devices and a web site put up to describe the devices – see evapotrons. These ‘evapotrons’ are active devices that wet a tulle fabric or burlap cloth or something similar to promote evaporation. 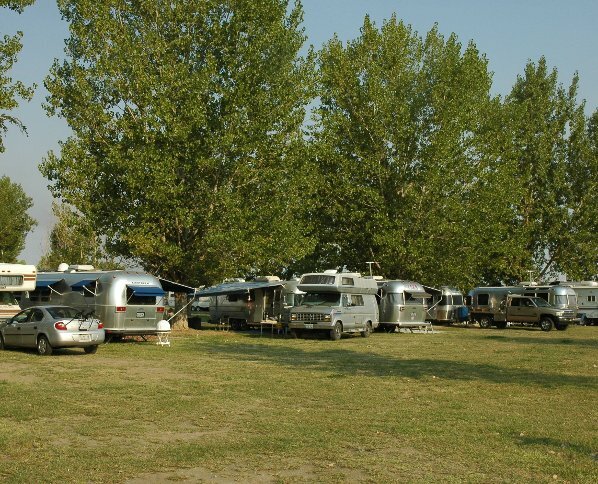 Besides the mechanics, there are two issues that are worth considering in normal RV practice. These are filtration and disinfecting. Oasis design has good discussion on Common grey water mistakes about these issues. Some more advanced efforts at treating waste wash water can make it somewhat acceptable for cooling devices (wikipedia). It is probably a better (safer) bet to put mechanical art on top of the RV to evaporate the waste. It appears that even a modest system can take care of ten gallons or more per day at Black Rock City. It used to be that you could let RV wash water waste drain directly to plant covered absorbent soil away from any pond or stream and any traffic or use. That was reasonably safe. Most camping places prohibit such practice these days. There are some creative and portable solutions available if you need to safely handle waste wash water and an RV dump isn’t handy. The U.S. is one of the very few countries to make a monument out of an embarrassment without outside provocation. The park service says it is One Camp, Ten Thousand Lives; One Camp, Ten Thousand Stories. 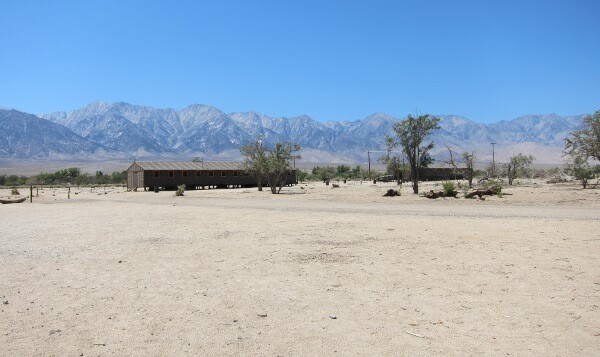 Manzanar National Historic Site is 9 miles north of Lone Pine, CA. Get a glimpse of the psyche of the American people just after the Pearl Harbor attack. Keep in mind that modern ideas of ethnicity, nationality, and race were a luxury back then. Think about things that don’t change about people and how it could happen again in a different form. 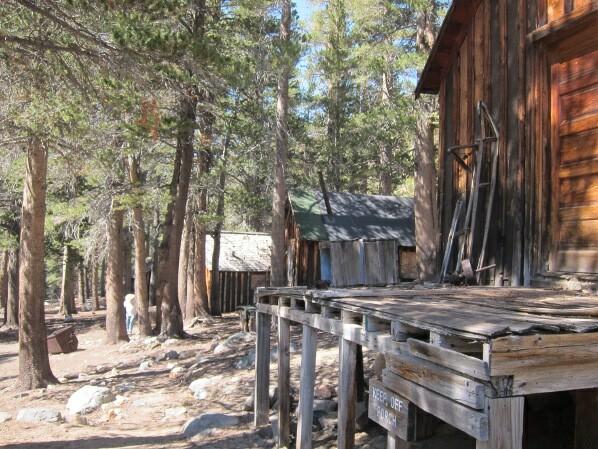 Just south of Lake Mary in the Mammoth Lakes area is the Mammoth Consolidated Mine, circa 1927-1933. If you are into touring abandoned facilities, this should be on your list. Samples indicated less than an ounce of silver and gold in a ton of ore or about $12.70 yield per ton in 1927. After the Obsidian Dome rally, what to tour on the way home? 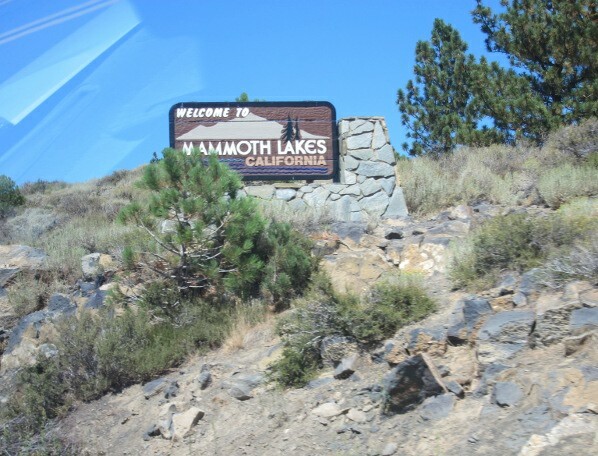 Mammoth Lakes is a resort area and a good home base to tour the Devil’s Postpile, Lake Mary, Bishop, and other spots on the southern end of US 395 eastern Sierra Nevada. If you want to know what is growing along the Truckee River corridor and then north to the Black Rock Desert, Tipidan’s Burning Man Botanical Travelogue provides a good summary. Russian olive, tumbleweed, the Dutch Elm stories and many more … There is much to see and a bit of help like Tipidan offers provides a pointer to just what is out there.